Shop+Buy=Ship All Your Medical Equip! Iteleti Sells New & Used Medical Equipment, Medical Supplies and Government Surplus! Buy Used Medical Equipment Online – Shop+Buy=Ship! 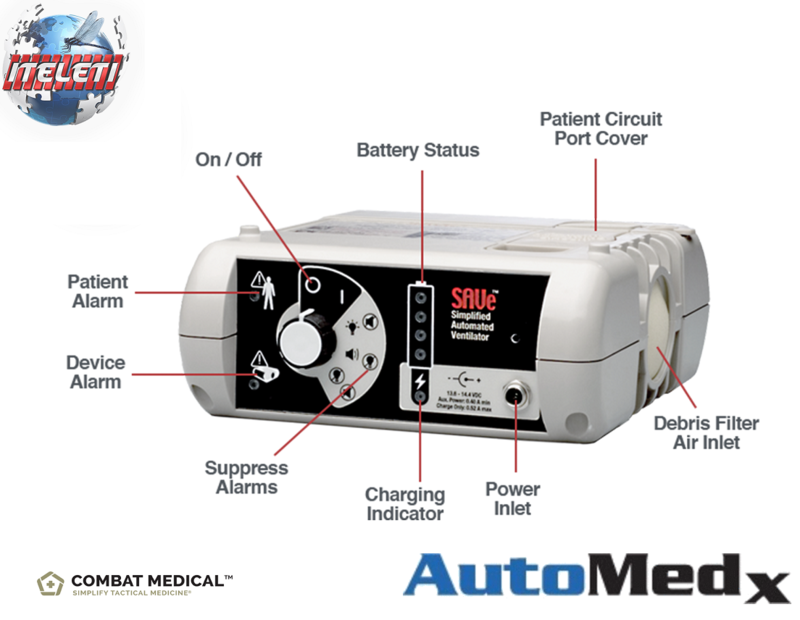 The Welch Allyn Propaq Encore 206 EL Patient Monitor is designed specifically for the traveling anesthesiologist, emergency room, and critical care transport. This multi-parameter monitor features ECG, SPO2, IBP, and NIBP with Printer / Recorder. The Propaq has a built-in bed rail hook and integral battery. The monitor is light weight, fast, portable and easy-to-use. The Propaq Encore Expansion Module attaches to the monitor and houses additional capabilities. The Expansion Module can be fitted with the SpO2, CO2, and Printer options. The Propaq Encore is intended for ECG monitoring of either a five-lead or three-lead configuration, including the Marriott configuration 1 (MCL1 requires all three electrodes). The five lead configuration can derive one of seven user-selected signals, Lead I, II, III, aVR, aVL, aVF, or V.
The Impedance Pneumography (RESP) Option detects the rate or absence of respiratory effort, and is configured with the Pulse Oximetry option. Continuous vital signs monitoring for procedural sedation and recovery. The Welch Allyn Propaq CS 242 Features a bright, color touchscreen display for continuous vital signs monitoring in hospital environments, during conscious sedation, and pre- and post-operative care. Cost-effective monitoring solutions for outpatient surgery and procedures. The Propaq product line was designed for rugged military use and can stand up to your toughest days. The Welch Allyn Propaq® CS 242 Patient Monitor is Recommended for continuous vital signs monitoring for procedural sedation and pre- and post-operative care. Optional features included: Mainstream CO2 Capnography; Blood Pressure Channel and Integrated Printer; connectivity to Acuity Central Station (hospital). CO2 Mainstream, SpO2, NIBP, Color Touch Screen, Printer and Included Accessories plus the Rolling Stand. These were all owned previously by the U.S. Government and were pulled from Federal V.A. Hospital and from Medical Facilities on Military Bases; Each in Good Working and Physical Condition; Just that the Manufacturer Warranty Expired and The Service Contract Expired. At that point the Government sends to DRMO. The Welch Allyn Rolling Stand for the Propaq CS 242 Patient Monitor can be Purchased by clicking on the link below. If you already Purchased the Monitor from Us (Iteleti) then we will Discount the Purchase Price for you by 50% Buy it Now. Just send an Offer for the Discounted Amount. You can find the Welch Allyn Rolling Stand on eBay by clicking the link directly below. Iteleti Sells New & Used Medical Equipment, Government Surplus, and Medical Supplies Online!